More inky scribbles, and more trying to figure out how wrinkles work. Blue, black and red ink with a dip pen, A3. 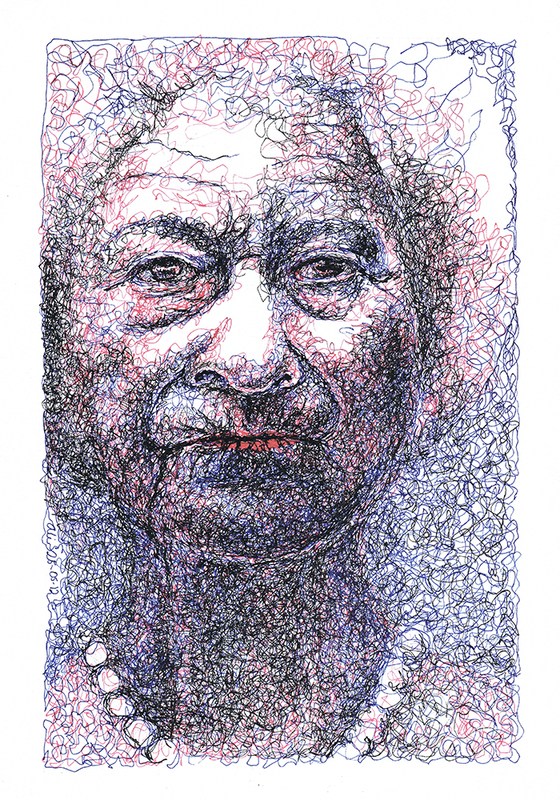 This entry was posted in drawing, painting, portraits and tagged 2d, aged, art, dip pen, Elizabeth, ink, old, old lady, old woman, pen and ink, queen, scribble, scumble. Bookmark the permalink.